We supply all the leading brands of golf balls with the option of personalisation with printed messages or logos in up to five colours. Tap into the corporate golf market, or enhance your golf club retail offering with branded golf balls, printed with your details. 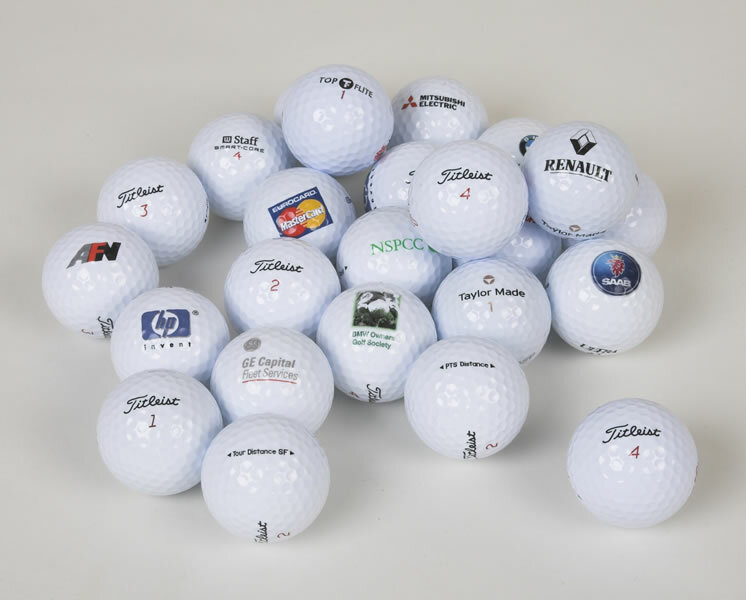 For sale, or as give-aways, logo printed golf balls are a great way to enhance and focus your brand. If desired, we can also print two different logos on opposite poles of the same ball. Our minimum quantities for printed golf balls start from low volumes and our flexibility as a supplier means we can turn around your printed golf ball order quickly and efficiently. Try us now for that urgent delivery date. 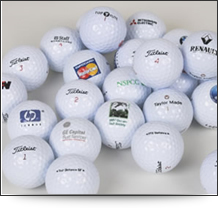 We currently supply custom printed golf balls to a range of corporate clients for golf events and as golf giveaways. We also supply golf clubs and golf retailers with wholesale printed golf balls.